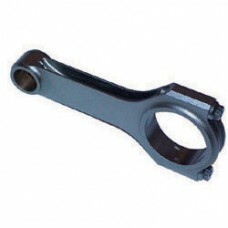 4340 H beam forged connecting rods for demanding applications up to 700hp. 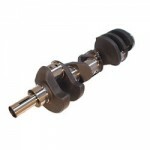 Manufactured from a two-piece forging for increased strength, the stroker design provides for camshaft clearance. Fitted with 7/16” ARP 8740 cap screw and silicon bronze bushings for floating piston pins. Multi-stage heat treated, x-rayed, sonic tested, magnafluxed and shot peened to stress relieve. Packaged in weight-matched sets. Fits Ford 302 - stock size 5.090”.